In this tutorial you will learn how to disassemble and replace a flickering or broken LCD screen on Compaq Presario CQ60 and CQ61 Laptop Notebooks. Compaq Presario CQ60 and CQ61 Laptop come with 15.6 widescreen. You will need to replace you defective LCD screen when you start noticing abnormalities like screen flickering, seeing lines on the screen or colours changing from green, pink and blue or sometimes when the screen backlight is no longer functioning. You have just opened your laptop and noticed that it keeps flickering when you move the top screen part up or down? This can be caused by two things. One, it could be the screen cable at the back of the LCD screen. This cable starts from the motherboard, passes through the laptop hinges and then is connected to the back of the screen. During the life of the laptop the screen cable could develop a problem at the hinges area because of the opening and closing of the laptop during use. The solution to this is to open up the laptop and replacing the cable. The second problem could be the screen itself. With the use of the laptop mixed with carrying it about in bags or cases could result in the screen developing problems like flickering. The solution is simply replacing the screen as shown in this tutorial. If the screen defects you are having is the lining and colour problem then you will definitely need a new screen. Use the instruction guide here to acquire a brand new screen and replace the broken one. Your Compaq Presario laptop as you have noticed has no backlight but you can make out very faintly the windows running in the background. This can be caused by the laptop inverter not working or the screen backlight has snapped after you have dropped the laptop. The laptop screen inverter provides power to the backlighting of the screen. The laptop backlight is a flat electronic board situated at the bottom of the screen. The solution to the backlight issue is to first replace the laptop inverter and if doing this does not fix the issue the next thing is to replace the laptop screen. Now that you know what the problem might be. I will now show you how to dismantle and replace the broken screen or inverter of Compaq Presario CQ60 and CQ61 laptop. Before starting the screen replacement you must first remove the battery from the laptop. This is very important so as to avoid static charges damaging the laptop during screen removal and installation. Use a flat screwdriver to remove the screwcovers covering the screws. There are two on both sides of the laptop. Keep these covers safely. One of the tricky part of this screen replacement is unscrewing the screws holding the bezel to the laptop. The bezel screws of Compaq Presario CQ60 and CQ61 laptops are slightly hard to remove as they are situated in the ackward area near the hinges. The best way is to place your screwdriver (use a precision screwdriver always) slightly vertical into the screw and by pressing down firmly start turning until you notice the movement of the screw. Do this on both sides and use the image as a guide. Click all images to enlarge. Put your fingers between the plastic bezel and the compaq laptop screen and pull the bezel. Do this on all sides to release it from the catches. Do this carefully to avoid snapping the bezel. As shown in the picture on the right, to effectively carry out the bezel removal put your fingers into the space between the screen and the plastic bezel. Pull the plastic bezel upawards when doing this at the hinges area. By removing the plastic bezel the internal part of the laptop is now revealed. On the top two sides of the screen you will find two screws as in the image on the left. Unscrew them and keep them safe. If your Compaq laptop comes with a camera at the top this is the best time to disconnect the cable to the camera. Hold the camera module with one hand and use the other to disconnect the cable. Remember to reconnect it during the installation of a new screen. Cafefully Move the screen towards you a little and remove all side screws as shown in the pictures. Keep these screws seperately as they are different size from the rest of the screws. After removing all the side screws place the screen face-down and peel up the clear tape holding down the screen cable connection. Remember to peel up the clear tape first before disconnecting the cable. The next thing is to remove the inverter cable and always remember to connect the one from the screen you will be replacing the broken screen with. At this point the screen replacement is complete. This laptop screen replacement instruction can also be used for all Compaq Presario CQ61 and CQ60 laptop series including Compaq Presario CQ60-100EA, CQ60-111EM, CQ60-313SA, CQ60-214EM, CQ60-305SA, CQ60-100EM, CQ60-420SA, CQ60-212EM, CQ60-430SA, CQ60-107EF, CQ60-219EA, Compaq Presario CQ61-416SA, CQ61-402SA, CQ61-315SA, CQ61-310SA, CQ61-427SA, CQ61-110SA and many others. Excellent! Took me about about 20 min to replace my LCD screen. I am glad we are able to help. 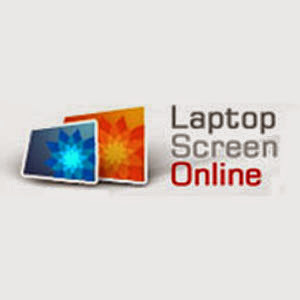 Laptop screens replacement are available at Laptop Screen Online. Hi. Did all of the above but when switching on the screen is still blank? If you are having a blank screen after replacing the screen and the inverter then the fault will be with the inverter/screen display cable or the inverter you may have replaced the broken one with is faulty as well... The screen cable carried data and power from the motherboard area to the screen and also to the inverter. If you laptop is the Compaq Presario CQ60 or CQ61 series all you need to look to buy is the CQ60 screen cable or CQ61 screen cable respectively. To install this cable you will have to go all the way to removing the keyboard and its top to get to the cable connection in the motherboard. I suggest using a technician if you do not feel confident doing this. Good luck. My laptop screen shows a mass of distorted colours when switch on. I can plug it into a pc screen which shows it all works fine. I am wondering wether it is the screen that needs replacing or something behind it. what do you advise. Thank you for your question. If you are having distorted lines then it may be the screen or the display cable. I suggest replacing the screen first as it is easier than changing the cable. With the cable you will need to work all the way to the motherboard level. Carry out the screen replacement with the instruction provided here and if after then it does not solve the problem then you will be left with the cable. This was profoundly helpful. Thanks alot! works like a charm !!! thanks for the detailed info, my other halfs laptop is now usable again. Do you sell the cable my screen is ok. Thank you for your question. This blog is created to help internet surfers find replacement instructions for their laptop. I suggest searching the product you are after on Google shopping. I believe you will be able to find the cable of the CQ60 or CQ61 there. do the 2 screws at the bottom of the bezel have to be removed completely or just loosend to remove bezel. The screws will need to be removed completely. Good luck. I have replaced the screen and the video data cable as shown and I still have no picture or can't even get the computer to boot up. Can you suggest anything else for me to try? If the laptop does not boot up then you are having a different problem. Try resitting the memory card. You have to get the laptop working before the screen will work. Replaced the screen. Screen lights up, but is a blank gray. Any ideas? One of the main reason that will happen is if the screen you are replacing it with is damaged as well. Another will be that the cable going into the back of the screen may be damaged. I suggest asking the supplier to replace the screen for you and if it still remains the same you should have the screen cable replaced. I hope this helps. Good luck. Actually, I went back and looked at the screen cable connection. I think I didn't have it quite pushed in far enough. It is fragile and I didn't want to overdo it. After playing around with the connection, everything works fine. Thanks for the advice though! We replaced the screen on my son's laptop but now the keyboard isn't working properly. When he tries to put his password in to gain access to the laptop, when he presses a letter three stars come up in the password box, as if he's pressing three letters. This means he can't get in to his laptop. Any ideas please? The keyboard problem may be due to bad installation. I suggest contacting a local technician to have it fixed - or - If you feel comfortable, try resitting the keyboard cable on the motherboard. This should solve the problem. I have a cq60 and i get a backlight but i have no picture. Is this a video card issue or is it the display, im wondering because it does light up but it is just grey... also it will boot on the tv, so i do get a display on the tv from it.. need help on correct parts needed.. Thanx!! You will need to have the display inverter replaced as this supplies power to the screen backlight. The inverter is the small electronic board you connect the screen to at the bottom. Good luck. I had some issues where the screen would flicker and then the backlight gave out. I replaced the inverter board but dont think that is the issue. Does a CQ60 require a full screen replacement or can we switch out the back light only? Isnt the CQ60 CFL and not LCD? In that case you will need to replace the LCD screen. If you are a technician yourself then try replacing the screen backlight to save money but note it can be a daunting task. ok. I suggest checking the cable at the back to make sure it is properly connected. If it continues then you will need to replace the screen. That is not expensive to fix. The problem will be either the screen backlight or the laptop inverter. Read through the article above and see how you can sort this out. Try installing a new inverter. It will cost less than £20 to purchase and then use the instruction to fit it. Good luck. Hello, I have a Compaq Presario CQ62, The screen comes on but, instantly starts to flicker mainly white with lines, ofeten other colors when moved around. I need to move the lid up and down until it stablizes then it will work fine until bumped/moved. It takes awhile to get the screen to a working position, usually only works when fully open, extended with some pressure. I am not sure if it is just the cable or the screen. The screen runs fine when finally set in the right position which is fully open. I feel confident to fix it, I am just trying to make sure which route to take. Any help appreciated. Hello, I have a tricky subject on my CQ60 209TU ( 16" CCFL WXGA ) replacement . The replacement screen for 16" CCFL is too expensive. I need to fit a 15.6" LED with 30/40 pin conversion cable. I understand my model CQ60 209TU comes in 2 versions 15.6" & 16" . So technically it should be possible to fit a 15.6" screen in a 16" frame . Maybe a few 15.6" compatible parts needs to be used ( screen side brackets with compatible shape & hole positions & a wider front plastic bezel to hide the smaller screen ). Could you pl suggest whether its possible to do ? I just cant justify spending such a huge amount on 16" CCFL when a little smaller 15.6" LED costs less than half of its price ... that too for a 5 year old laptop . Would appreciate your urgent response pl .